USA officials have characterized the 2017 crackdown by military authorities as ethnic cleansing. The report is based on a 21-month investigation, including 254 interviews, done by Fortify Rights in Myanmar and Bangladesh. The report found at the involvement of at least 27 Burmese Army battalions of 11,000 soldiers, and at least three combat police battalions, comprising an estimated 900 police personnel, in a series of attacks that began on Aug 2017. Beginning in October 2016, Myanmar's military and local officials methodically removed sharp tools that could be used for self-defence by the Rohingya, destroyed fences around Rohingya homes to make military raids easier, armed and trained ethnic Rakhine Buddhists, and shut off the spigot of global aid for the impoverished Rohingya community, the Fortify Rights report says. The authorities also trained and armed local non-Rohingya communities in northern Rakhine State to act as the "regional police", the report said. "Impunity for these crimes will pave the path for more violations and attacks in the future". 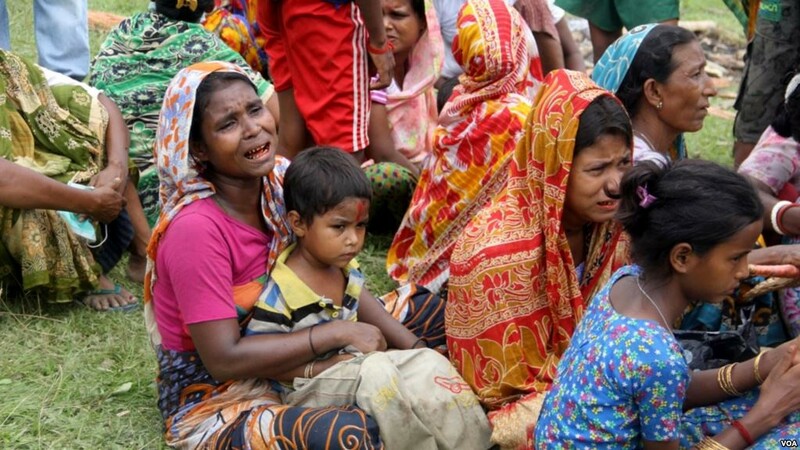 "They referred to the overt threats they faced of violence and persecution, being cut off from their sources of livelihood, and the overall menacing environment that finally compelled them to leave for Bangladesh", the investigators said in a statement, adding that the arrival of new refugees reflects the "the continuing gravity of the human rights violations in Myanmar". Other measures included suspending humanitarian aid and access to the Rohingya, systematically tearing down fencing and other structures around Rohingya homes in order to provide the military with greater line-of-sight on civilians, enforcing a Muslim-only curfew, and building up an unusually sizable military presence. The government and military have defended the "clearance operations" as a counterinsurgency against ARSA terrorists and have consistently denied that security forces committed most of the atrocities against the Rohingya, despite widespread reports and credible evidence, including multiple satellite images of burned-out villages. The report claimed there were reasonable grounds for the International Criminal Court (ICC) to issue arrest warrants against the perpetrators for crimes against humanity. After Rohingya insurgents attacked police outposts on August 25, Myanmar army officers killed 77 insurgents, 12 security officers and six civilians, state media reported, and thousands fled from the violence and attempted to enter neighboring Bangladesh. "ASEAN has a particular role to play in ending these atrocities". The study, published on Thursday following almost two years of research, contains legal analysis and hundreds of interviews with survivors of violence, Rohingya insurgents, and government and military officials in Myanmar and Bangladesh. "There is no genocide and ethnic cleansing in Myanmar", said Zaw Htay, a government spokesman. "We need more sanctions that target the people responsible for these abuses, like the over 20 officers that Fortify Rights names, to ban their travel, freeze their assets", Kennedy said. In addition, the European Union, Canada, and the US have imposed sanctions in the form of foreign-asset freezes and travel bans on several senior military and police officials deemed responsible for human rights violations against the Rohingya. Given the strength of the USA economy, the Federal Reserve is expected to keep raising interest rates . Trump's recent rhetoric "is certainly shifting this from a trade war to a currency war". McDonald's is handing out a medium order of fries every Friday for free for the rest of the year, The Sacramento Bee reports. The fast-food restaurant chain says they will be giving out free french fries for the rest of the year. Burberry says it uses special incinerators which harness the energy. Burberry has done away with its leftovers - and people are fuming.